Since the 1930s, worshippers have gathered at Washington County's highest point to celebrate Easter. The annual Bald Peak Sunrise service will be held Easter Sunday, April 21, at 7 a.m. at Bald Peak State Scenic Viewpoint. The public is invited to celebrate Easter with a morning gathering to watch the sunrise at Bald Peak State Scenic Viewpoint, 24730 S.W. Bald Peak Road. 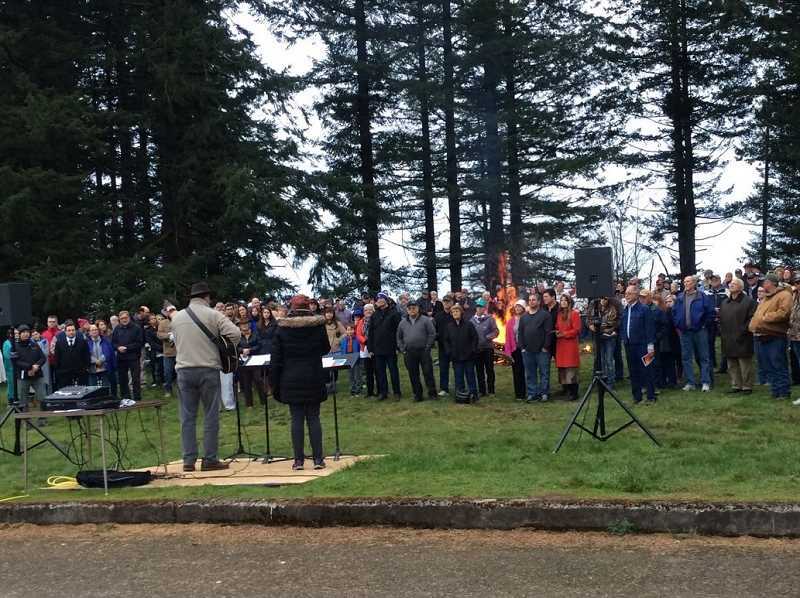 The annual Easter morning gathering has been going on for generations at Bald Peak. First started in 1937, the event is organized by the Laurel Community Church and the Scholls Community Church. At 1,637 feet, Bald Peak is the highest point in the Willamette Valley. Hillsboro Fire Department chaplain Steve Brodehl will speak at the service. Brodehl received the Oregon Fire Chiefs Association's president's award in 2016. Billy and Terra Kerr, known as "Still Pilgrims" will lead singing at the service and a bonfire by Michael Spiering will keep worshippers warm, organizers said. Bald Peak State Scenic Viewpoint is 12 miles southwest of Hillsboro.